MRI: Should You Get One and Why It is Better? 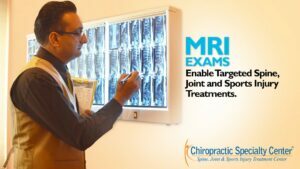 MRI or Magnetic Resonance Imaging is the gold standard in assessments of the spine and joint disorders. Often, it is the first step in assessing the actual cause of an illness. Call us now and get assessed by Malaysia’s premier non-surgical treatment center today. There are times when our Chiro may order something called an MRI (Magnetic Resonance Imaging) for an accurate assessment of your condition. MRI uses radio waves and a magnetic field for diagnostic imaging of the part being assessed. This type of exam allows our clinical teams to take a peek inside in a much different manner than the traditional x-ray film, a CT scan, or an ultrasound. If you are in pain and need to find the cause, contact our center. Chiropractic Specialty Center® has the best clinical teams of chiropractors in Malaysia. Visit us today to find out the actual cause of your back pain (lumbago), neck pain (spondylosis) today. Why Would You Need a Magnetic Resonance Imaging Exam? The diagnosis is the most difficult and challenging component in patient care. An accurate diagnosis of your condition is critical to successful clinical outcomes. Unfortunately, many patients are hastily diagnosed and then treated without diagnostic imaging. Well, that will not happen at the Chiropractic Specialty Center®. We take pride in our ability to accurately diagnosis the root cause of a patient’s disorder before initiating care. We will not take shortcuts or “wing it” when it comes to your care. As such, we may need to refer you for MRI or x-ray tests to understand and document the root-causes of your condition. Our clinical teams provide the most comprehensive spine and joint treatments in Malaysia. The care you get from us is targeted and painless. But, before we start your treatment; we may need an MRI. Our clinical teams will inform you if an MRI is needed. The MRI imaging can provide excellent imaging of soft tissues such as ligaments, cartilage, spinal discs, muscles, bursae, and tendons. It is ideal for the adhesive capsulitis or frozen shoulder patients. A Magnetic Resonance Imaging exam is the gold standard the in the assessment of a herniated disc (slip-disc), knee pain, hip pain, shoulder injuries as well as headaches and migraines, Schmorl’s nodes, Tarlov cyst. Magnetic Resonance Imaging produces detailed, cross-sectional images of the predetermined region in a three-dimensional perspective (coronal plane, sagittal plane, axial plane). The physics behind magnetic resonance imaging uses the application of high magnetic fields with a very sophisticated computer programing to extract images. Are There Different Types of MR Imaging Scanners? There are two distinct types of MRI scanners: weight-bearing and non-weight bearing scanners. 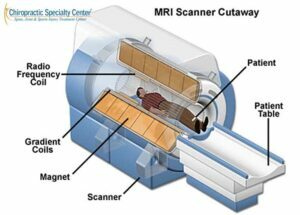 The weight-bearing magnetic resonance imaging scanners are relatively new. The advantage of the weight-bearing MRI scanner is that it enables a better assessment of the spine and joint in a weight-bearing position, in either a seated or standing position. The seated or standing exams (weight-bearing), enables a better understanding of spine and joint disorders. Unfortunately, no one in Malaysia has a weight-bearing MRI scanner. Therefore, we will focus our topic of discussion on the non-weight bearing Magnetic Resonance Imaging scanners. There are two main types of non-weight bearing exam scanners: open-sided MR scanners and closed scanners. The open-sided scanner is best suited for the larger patients and for those who have claustrophobia. The image quality of an open MRI is not as sharp as that of a closed MRI scanner. Regardless of the type (closed or open), you will be required to lie down in a supine position (on your back or in the face-up position). Magnetic resonance technicians will help you during this process. Once you have been comfortably positioned, the technician slides the MRI bed slowly into the scanner. A technologist who specializes in conducting the exam will usually be the one who does everything. If you come to the exam area with any wearable metal objects, they must be removed. Watches, hairpins, jewelry, hearing aids, dentures and anything else that has metal will have to be removed. The test uses a powerful magnet, and it’s dangerous to have any metal in the machine while the test is being done. If you have any implants (metallic implants) in your body, whether it’s a stent or anything else, you’ll have to tell our doctor of chiropractic at the time of your exam. Obviously, if you have a pacemaker or defibrillator or even a heart valve, it’ll be necessary to make us aware of these things. If you have a bone that has a metal pin in it or even dental work or braces, these are things that you need to mention to the radiology center or hospital where you get your Magnetic Resonance Imaging done and to us. Some people can get very nervous if they are shut inside a very confined space. Having an MRI will require that you lie very still while the test is being done. For some, it’s necessary to take some medicine for them to relax enough to have this exam completed. In some locations, an open MRI is available and, if so, then it might be a consideration. What to Expect Before and During Magnetic Resonance Imaging Test? You will almost certainly be required to sign a consent form at the hospital where we have referred you, saying that you understand any risk involved when taking the test and that you agree to have it done. When you are inside you will hear a fan moving, and you will feel the air. In some cases, you could hear a snapping noise as the MRI images are taken. In some situations, music is played to reduce those problems or earplugs may have been given before you entered the MRI machine. There are times when the technician may ask you to hold your breath for a short time while an image is taken. When the test is being taken, you may feel as though you’re alone, but the technologist is watching you the whole time through a window. You’ll be able to speak to the technologist via an intercom system. Whenever a contrast material is used, it will be administered through an intravenous line in your arm. It is standard practice for the contrast material to be delivered over a one- or two-minute period. An MRI typically takes between 30 and 60 minutes, but there are some cases in which it will take as much as two hours to complete. What Does It Feel Like to Take a Scan? There’s no pain associated with either the radio waves or the magnets used during the test. You will be lying on your back on a hard table, and you’ll be asked to stay still for extended periods of time. It may be uncomfortable, but it is not painful. You may feel cold in some cases, and you will likely get tired of lying on your back for an extended period. People with metal fillings in their teeth may experience a slight tingling in their mouths. If you experience anything such as dizziness, vomiting, a burning sensation, breathing issues, or a headache, you must bring this to the technician’s attention. Is Radiation or Other Harmful Effects Associated with this Type of Diagnostic Imaging? Unlike other forms of diagnostic imaging, MRIs do not emit any radiation. To date, MRI assessments are considered safe. There is no known side effects or harm when it comes to MRI examinations. However, the strong magnetic field generated by MRI imaging will interfere with metallic implants such as pacemakers, metal clips, or metallic prosthesis, so make sure to inform your doctor and the MR Imaging technician if you have any metallic densities in your body. Welders and factory workers who are exposed to fine metal shavings should not undergo MRI assessments. Factory workers and welders may have fine metal shaving in tissues or eyes. Often, x-rays of suspected areas infected with metal shaving are performed before the MRI exam. Therefore, we urge you to thoroughly communicate prior history with your clinician and MRI technician before initiating the scan. Failure to do so may be dangerous to the patient. An MRI assessment is perfectly safe with compliance with safeguards and proper protocols. However, the effects of the magnetic field generated in MRI assessments are not well understood. Further research is needed for a thorough understanding of the harmful effects of magnetic fields generated during MRI assessments. Having said that, MRI exams are considerably safer than x-rays or bone scans. As such, we deem the Magnetic Resonance Imaging examination of the spine and joint conditions to be the gold standard in diagnostic imaging. Should You Worry about the Magnetic Field? Some people worry about the strong magnetic fields used when administering an MRI, but there are no known ill effects from them. If it’s found that you have any metal fragments in your eyes, then MR imaging will not be done. There are sometimes iron pigments in tattooed eyeliner, and these can become irritated when having this type of exam. Magnetic Resonance Image is so much advantageous innovation in the entire history of medical industry. Additionally its radio waves and magnetic scan magnetic control is not at all hazardous for patient’s body cells. Moreover its scanned outcome gives you more deep and flawless image as every patient wants. Thank you for posting your comments. We appreciate insightful comments from clinical professionals of your caliber. MRI assessments need a referral. Hospitals don’t entertain walk-ins for MRI. You will need a referral and an appointment for this procedure. We can help do both for you. But first, please call our center at 03 2093 1000 for an assessment to see if an MRI is needed in the first place. KLSMC and Lourdes Medical Center both have open-sided MRI. Call us to find out which is best suited for your specific condition. Our pleasure to have helped. how much the price for MRI as i need to do for my long period of back pain for falling down with pressure. We do not perform MRI examinations at our center. 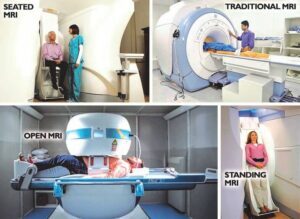 However, we refer patients I need of MRI to one of the many hospitals in the Klang Valley. The costs for MRI exam varies from hospital-to-hospital. Some charging over RM1,000, while a select few are slightly below the RM1,000 mark. 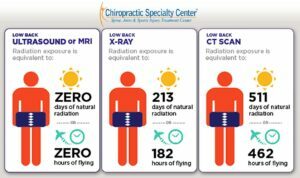 First, I encourage you to schedule an appointment with one of our doctors of chiropractic to see if there is a need for MRI. Please call our main center at 03 2093 1000. We have several locations throughout the Klang Valley to assess your spine.